Buy more than one Moodle Course at Once! 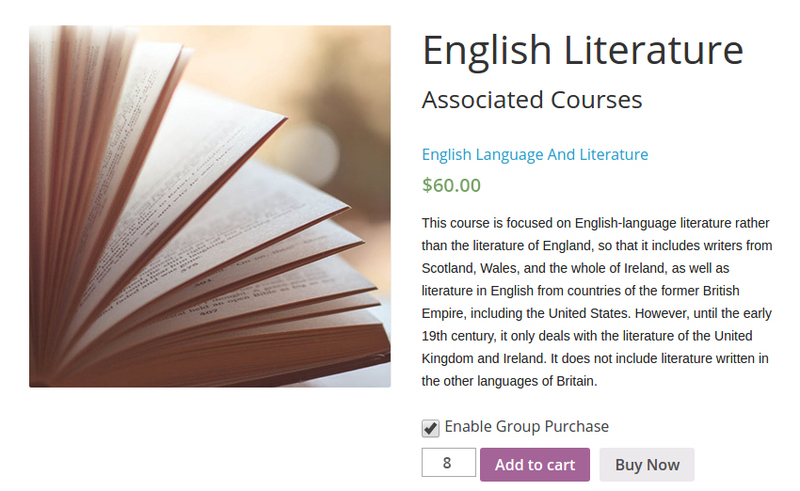 This extension lets you buy more than one Moodle course and enroll your students or colleagues to it. Just select the total number of courses that you need, complete the payment through WooCommerce Integration. Get Lifetime Licenses of ALL Edwiser Products @ Flat 20% OFF! Note: This is an extension to Edwiser Bridge (WordPress Moodle Integration) which is available for free in WordPress.org. Edwiser Bridge and the WooCommerce Integration extension have to be activated on your site for this extension to work. Enroll students of your class or your co-workers to a purchased course on their behalf. LMS administrators, e-learning website owners, teachers, parents or corporate managers can use the CSV upload option to bulk register students at once! Integrated with WooCommerce Extension Plugin! 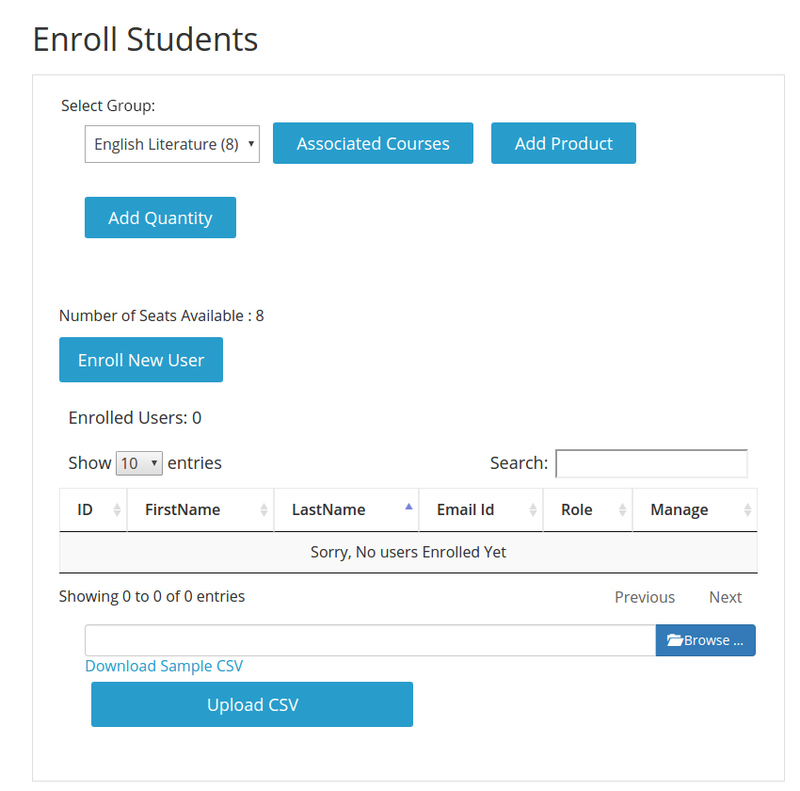 Your students details could be added on the ‘Enroll Students’ page for easy enrollment! Now you can translate Bulk Purchase in your language. The Bulk Purchase Plugin can be Perfect for your Corporate Training website with Edwiser Bridge! Want to know more about the plugin. What's your story? We'd love to know!